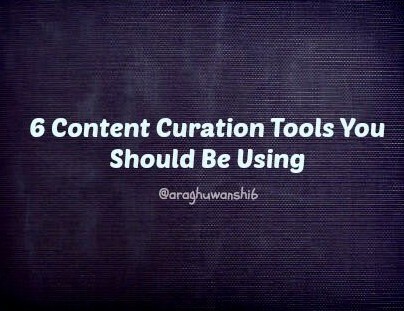 If you’re looking for Content Curation Tools, this post is for you! If you need a tool to compile different news in the virtual world, Scoop.it is ideal for this task. This platform, easy and functional for effective content curators lets you select between different information sources so that you have available the most relevant of these publications. Undoubtedly, this service is ideal if you want to track a specific topic. Therefore, whether you seek enrich your knowledge to make a better job of curator of contents or share the news that you like with your friends on social networks, Scoop.it is the ideal tool. If you want to apply best SEO techniques for your work as curator of contents, you must use Paper.li. This tool is similar to the previous one since it also collects news from sources that you prefer. The dispute centers on this continues to be updated automatically, based on the keywords or hashtags. Considering the above, if you want to make the most of your accounts on Twitter and Facebook, with Paper.li you can receive the information you are looking to stay up-to-date of trends, and to improve your SEO presence. Undoubtedly one of the tools favored by experts in Search engine positioning is Storify. This useful tool allows you to receive content from various social networks like Facebook, Youtube, Twitter and Instagram so you can share the story with others to create a bias in the virtual world. With this tool, it is possible to keep up with all the interesting topics in different social networks, for use for your domain. Klout offers a rich source of relevant content but is often better known for the Klout Score it can allocate to social websites accounts. The Klout Score is centered with your social media profile and activities. If you want to improve search engine optimization of your domain, you need to use Evernote as a tool for your work as curator of SEO content. This platform allows you to keep notes in different formats (images, text, page, etc.) so you can archive the information that will be useful for your virtual site. The best thing about Evernote is that you can organize your notes in books, which can specify and comment to describe the contents found there. However, this tool adds another benefit: you can check it via your smart phone or tablet and synchronize all devices at once. Finally there is one network that has gained more popularity when search positioning: Pinterest. In addition to working for social interaction, this is also an ideal platform for content curators tool, since it allows selecting images in its database for placement on websites. Guidelines from Google on what to do to get discovered. We use the “meta name as Title Tag” and the company summary “”meta name as short summary” make sure it’s in correctly. And as He says, Start publishing, which is the finest way to present the web content also it provides a rich impact on website visitors. And if possible use the company name as username, since it creates the best SEO-Friendly URL. Read More Mat Cuts personal blog for other interesting tips Matt Cutts Blog.